Looking for some healthy snack ideas? 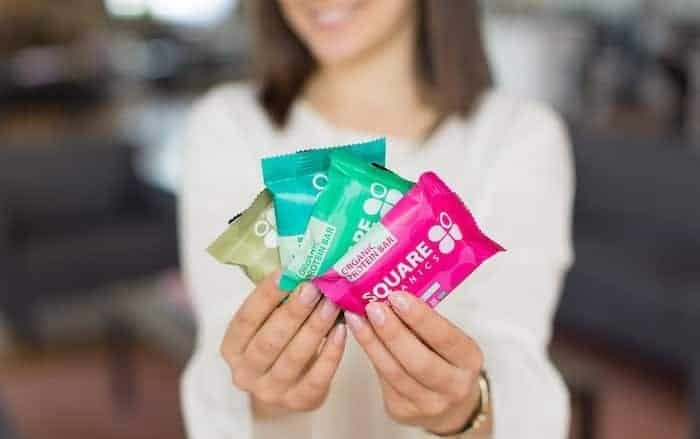 Check out our list of 10 quick and easy on-the-go snacks – perfect for your busiest days or long road trips! 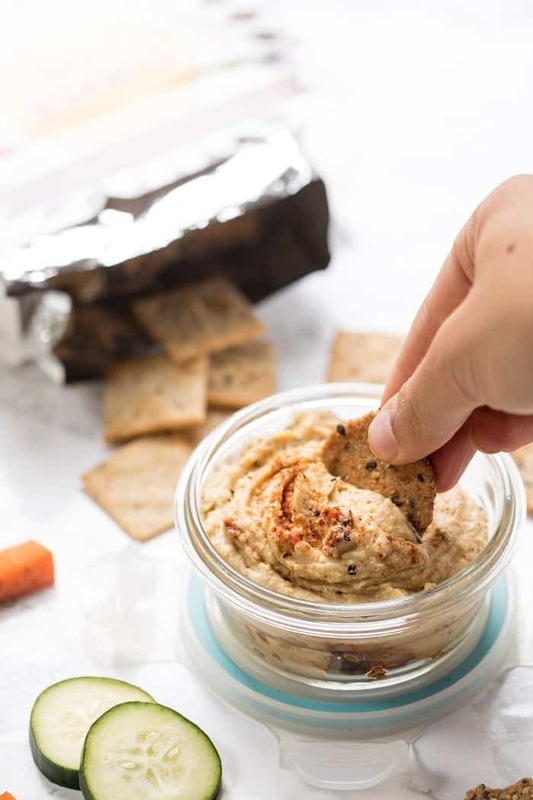 With the summer swiftly approaching, with travel and schedules becoming even more hectic than they might already be, I thought you might need some help in the snack department. When I poll people on Instagram and YouTube about what meal they need the most help with it's almost always a toss-up between dinner and snacks. Luckily we have lots of healthy, 30-minute meals already on the site, BUT snacks? We could dive a bit deeper there. So today I'm going to share some of my favorite healthy snack ideas that are perfect for on-the-go. You can bring them with you to work, pack them with you on a trip or just munch on them during a busy day of errands. 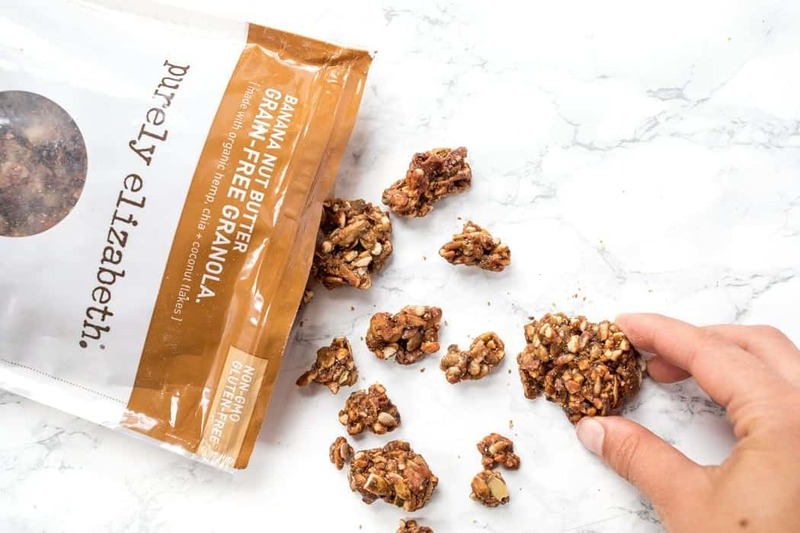 I'm excited to be sharing this article in partnership with iHerb as they're one of my go-to places for these healthy snacks (both the ingredients needed to make some as well as some of the healthier packaged options). What's great about iHerb is that they carry over 5,000 (!!) grocery products and can ship them to over 160 countries. So for those of you living outside the US and continually frustrated by not being able to find the ingredients I mention, iHerb will be a game-changer for you! 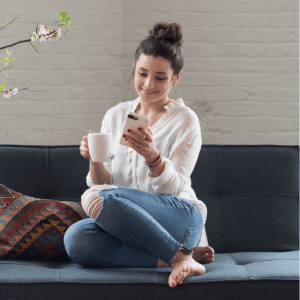 It’s also incredibly easy to shop on iHerb, that have super speedy shipping and their products are almost always cheaper than the grocery store! 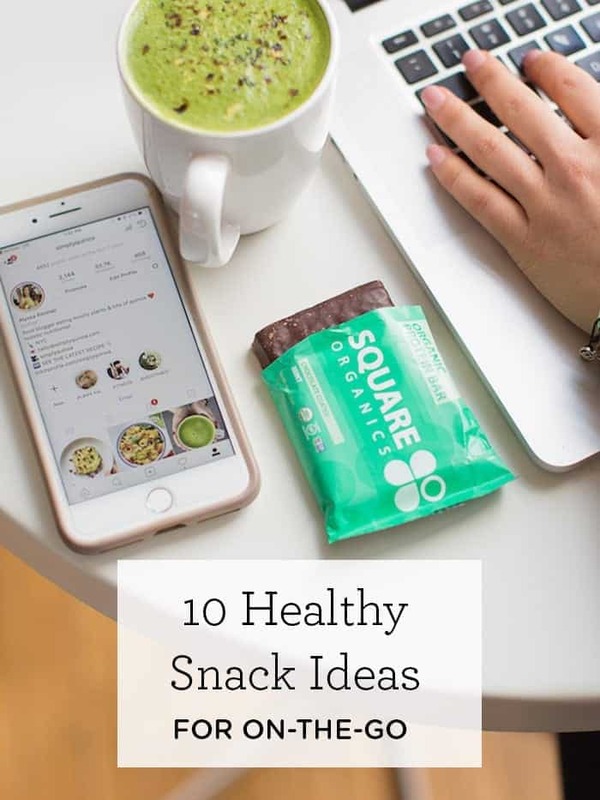 My goal with this post is to show you how easy it is to have healthy on-the-go snacks with you at all times so you can skip the candy bowl and lunch and say, “heck no” to the vending machine (because we all know there’s never healthy options there)! What I love about trail mix is that you basically make it from anything. A blend of nuts, seeds, dried fruit and maybe some dark chocolate and you've got pretty much everything you need in terms of your macros. You've got healthy fats, protein and some carbs all of which will help keep you fueled all day long. I know nuts and dried fruit can be a little pricey at the store, which is why you'll love to see that iHerb has a huge selection (organic too!) with great prices. 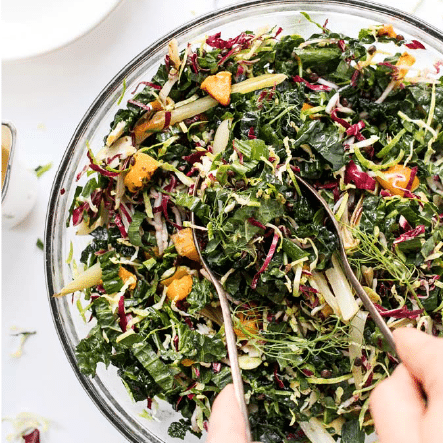 ⇢ Stir everything together, portion out into 1/2 cup servings and enjoy! 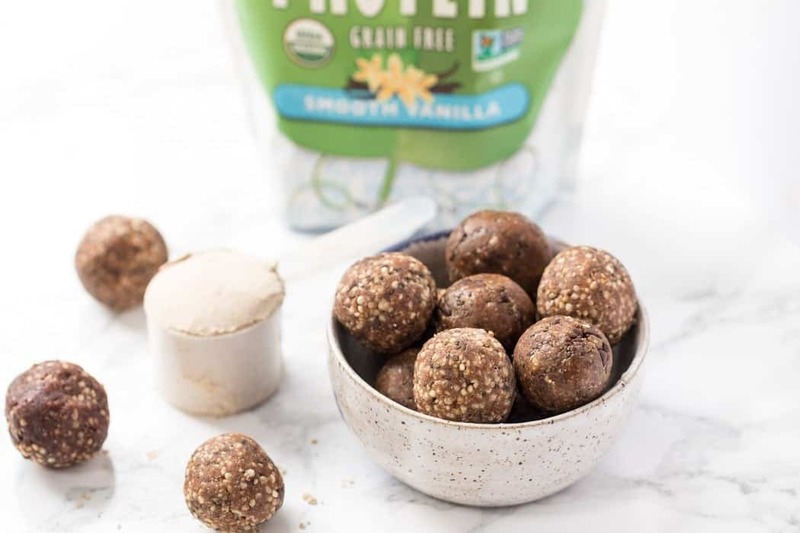 You guys know I'm obsessed with energy balls, so of course, these are on the list! Energy balls are made with a base of Medjool dates, nuts and nut butter, so similarly to trail mix, they've got you covered for your macros. You can also add in some vegan protein powder too if you want! But what makes them better than trail mix, in my opinion, is that they taste like you're eating a dessert AND I think they're easier to bring with you on the go. Again, all these bulk ingredients can be found on iHerb for an awesome price! Think of dried fruit like nature's candy! I love tossing some dates, dried mango and dried figs into a little bag and just throwing them into my purse. 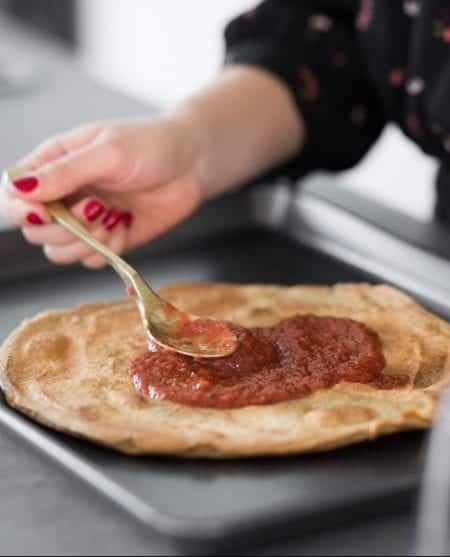 What's great about dried fruit is that you don't have to worry about the fruit getting banged up in your bag, needing to carry a knife with you, and it's totally kid-friendly! Granola has been one of my go-to snacks forever. I love that you can make a big batch over the weekend and bring little baggies of it with you on the way out the door. Luckily, if you're not feeling baking, there are tons of great packaged options to choose from these days that are gluten-free, vegan and also not too high in sugar. iHerb carries lots of awesome brands, but here are some of my favorites! My snack list wouldn't be complete without adding smoothies! I think smoothies can sometimes feel like a weird snack because you don't want to carry them around with you, BUT there are a few ways they can save you time. For starters, if you're having one for breakfast, just make a little extra and bring it for your snack. And secondly, you can actually freeze your smoothies in small mason jars and just pull them out when you're ready to go in the morning. Throughout the day, they'll thaw and by the time you're ready to drink it, it should still be nice and cold! What I love about smoothies is that you can really jazz them up with all sorts of ingredients. I love adding in protein powder (this grain-free one is my absolute fave), as well as other superfoods like green powders, coconut water powders, etc. There's really no limit when it comes to smoothies – except that I want you to make sure you're adding veggies!! Show me one person that wouldn't want to be snacking on cookies, right!? 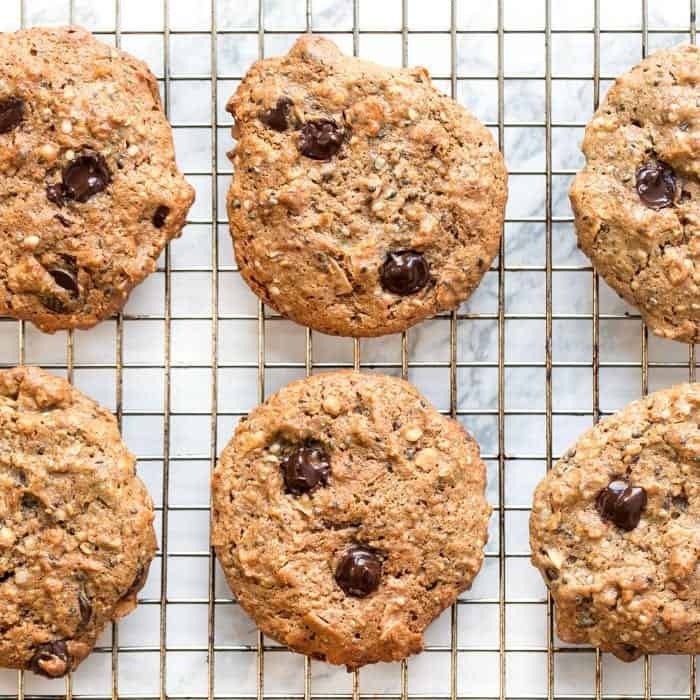 Making healthy cookies is actually super easy and they can be a great way to get in all your macros, while still enjoying something delicious. The protein cookies I recently shared are an awesome option, but you could also make one of my breakfast cookie recipes. 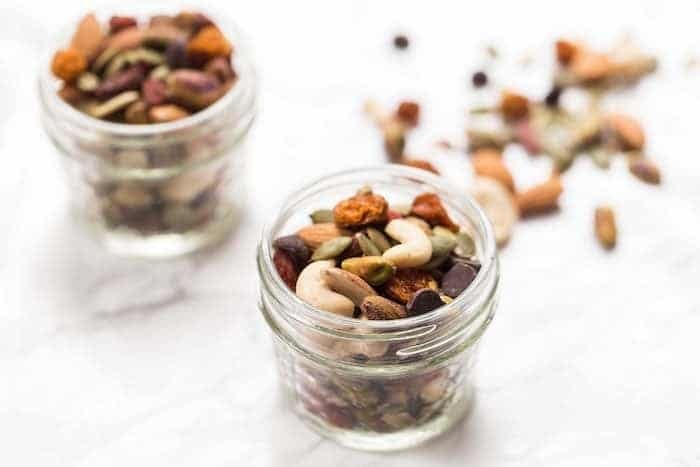 They're all going to give you some protein, healthy fats and complex carbohydrates while satisfying your sweet tooth and making sure that you don't reach for the vending machine or that giant cookie from your local bakery. And again, just wanna say that iHerb is also an awesome place for picking up baking supplies that might be hard to find locally (i.e. quinoa flakes!). 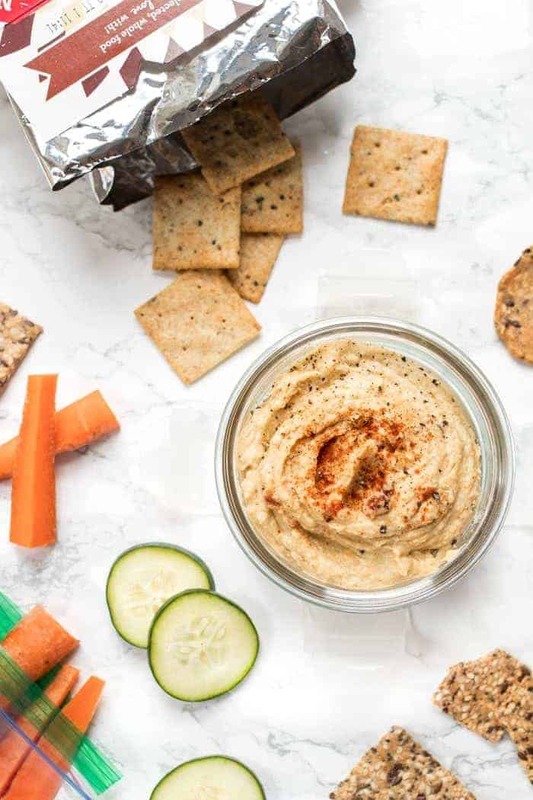 There's nothing easier than slicing up a few veggies, tossing them in a bag along with some healthy crackers, packing a little tub of hummus and hitting the road! I gotta be honest and say I'm all about those store-bought crackers and hummus and I love the selection that iHerb has for GF & vegan crackers. They carry many of my favorite brands, and all with pure, clean and healthy ingredients! I bet you’re surprised to see this on my list! But I’m not talking about potato or tortilla chips! I’m talking about healthy chips made from fruits and veggies. Might sound boring, but I promise, they are delicious! Now if you have a dehydrator, you can actually make fruit and veggie chips at home. But I’ll be honest and tell you that a) I don’t have the time and b) I don’t have the patience. I’m all about convenience when it comes to snacking and dehydrating my own kale chips for 8+ hours, while delicious, just isn’t going to be something I can normally do. Luckily there are lots of companies who are jumping on this fruit & veg chip train and making super healthy snacks from clean ingredients. You can find chips made from fruit, veggies, seaweed and so much more! But you do want to make sure that when you’re finding a healthy chip, you’re looking for one that doesn’t have a ton of added sugar or starches! Those aren’t going to be adding much to your body (nutritionally speaking), so stick with the pure, high-quality ingredients! When all else fails, throw some fruit in your bag and call it a day! Something like a banana or an apple should hold up well in your bag, doesn't need to be refrigerated and also has more calories to help fill you up. What would be even better? Throw in a to-go packet of nut butter (you can get those on iHerb too!). Last but definitely not least are protein bars. I can honestly tell you that there are some days, especially long travel days, that vegan protein bars are a lifesaver to me. I always have a huge variety in my fridge and you will always find at least one in my bag. A girl needs options, right!? If you're totally new to the world of protein bars, then I think a great place to start is pick up a few at your local grocery store and find ones you like. Once you've got the three or four that you love, hop over to iHerb and pick up a box. It's going to save you TONS of money in the long run, and since you're getting a whole box, you don't have to really worry about running out. What's your favorite healthy snacks while you're on-the-go? Share with us in the comments below! And I also want to tell you about a very cool offer from iHerb: new customers can get 5% discount off their order by clicking this link! Plus, you'll also be qualified to add Promo Code, WELCOME5 to your shopping cart to get an additional $5 of your order of $40 or more! 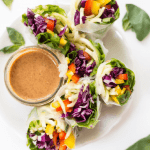 This recipe is brought to you in partnership with iHerb. As always, all opinions are my own. 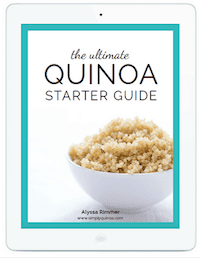 I only share companies I love and trust, so thank you for continuing to support Simply Quinoa! Thank you. New to this info and the transition of a gluten free life style.. So glad you found it helpful, Prima! !